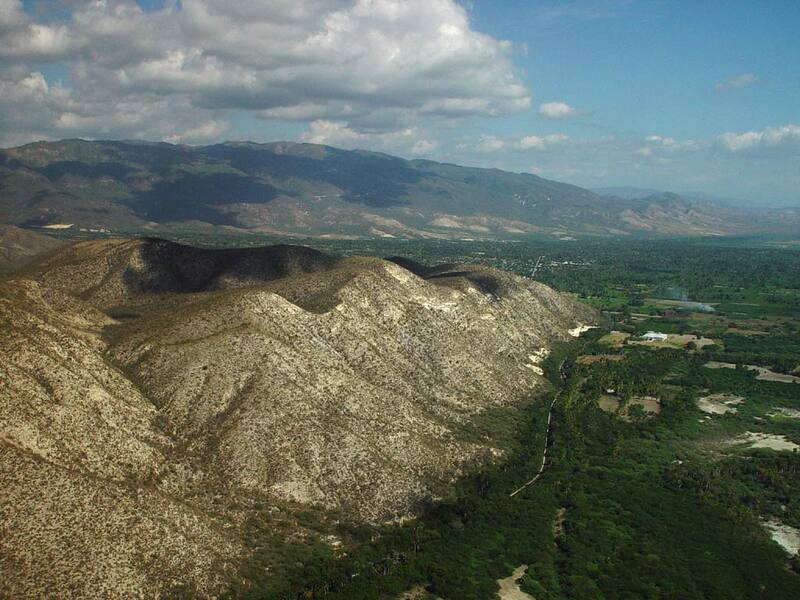 Dominican Republic pictures: Small hills contrast with the 2000m high mountain of Sierra de Neyba in the background. Small hills contrast with the 2000m high mountain of Sierra de Neyba in the background. This photos where taken in the Dominican Republic during our paragliding adventure tours and holidays. The Dominican Republic is a fantastic place to fly. The weather is great year-round and there are many alternative activities to do, ranging from world class hotels and resorts to the most amazing eco tourism in the Caribbean. See our entire Dominican Republic pictures collection or visit one of our sponsors.